The MDT Hot Water Dip Tank Series offers two size units that will meet your shrink bag packaging process. 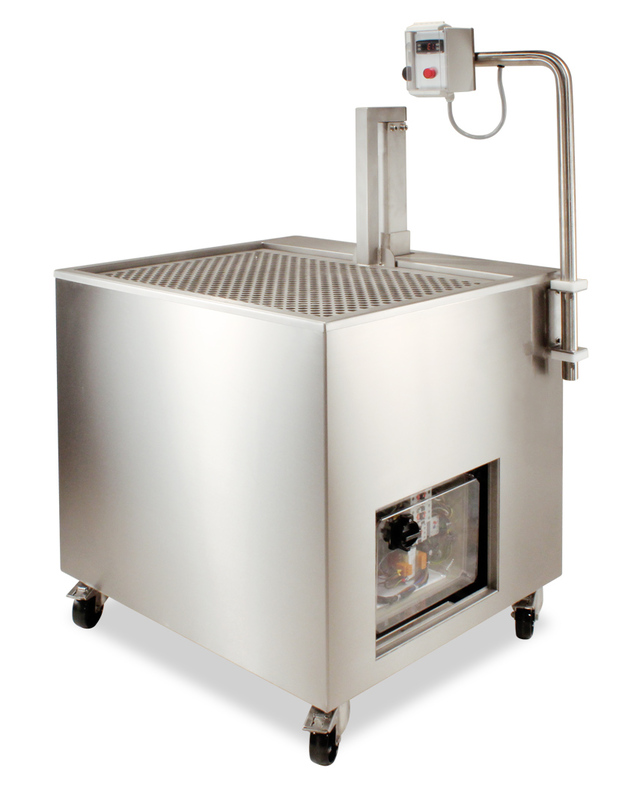 The MDT-100 is a stainless steel hot water dip tank for shrinking special vacuum shrink bags. It offers excellent hydraulic lift support for up to 220 lbs. of sealed product. With automated cycles of 2.7 seconds, the system will process large volume. The two 7500 watt heaters will keep your water at the correct operating temperature. Insulating polypropylene balls included. Maximum Weight Load: 220 Lbs. Tank Size: 23.6" x 31.5" x 16.5"
Display Type/Size: LCD/1.5" x .75"
Machine Size: 37" x 34" x 41.5"